I never thought I would say that I’m a fan of this show but here we are. It has all the ingredients for something that I would automatically dislike. Rednecks who are Republican-minded, not fans of Obama, and are into country music. Yet despite that, I now find myself 2 episodes in season 2 (Part 2) and I thought let me take a breather and talk about it. So it’s been a while since my last post. I’ve been thinking what plans do I have in store for this blog or for blogging in general. In the meantime as I’ve mentioned in the past I’ve been gorging on media consumption. And what a feast it has been for 2014 and the beginning of 2015. 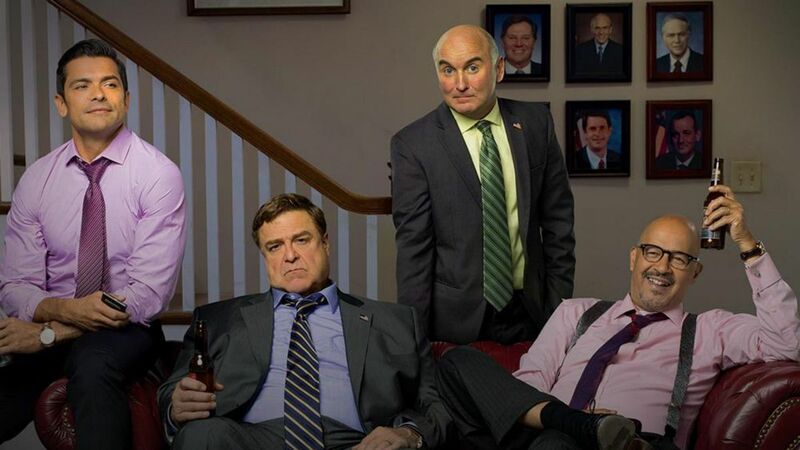 I finally went back to Amazon Prime to see the second season of Alpha House which is a great political comedy about for Republican Senators that share a house together in DC. It’s written by Gary Trudeau of comic strip Doonesbury fame and it’s as good as it’s ever been. Another great new Amazon show that I discovered is called Mozart in the Jungle. In this show, you follow a cast of zany characters that make up the New York Philharmonic. There newest Maestro “Rodrigo” has some interesting and radical ideas and brings his new home into a crazy and wild ride that has everyone wonder if he knows exactly what he’s doing or if they should bring back the former Maestro “Thomas Pembridge”. There are of course other subplots in this show. We follow Hailey, an oboist whose dream is to join the prestige classical music symphony but is still fresh and is also harshly criticized by senior oboist, Betty. It’s a fun comedy that brings you into the world of classical music, union battles, the chemistry of everyone involved in the symphony and what it takes to keep a concert hall running. I highly recommend this as a must watch. On to the other critically reviewed Amazon show, Transparent.